I haven't done a post professing my undying love for bookshelves in a while but when I got this email showcasing this beautiful room, I just had to share. It's probably been around for a while now, but it's still absolutely gorgeous. 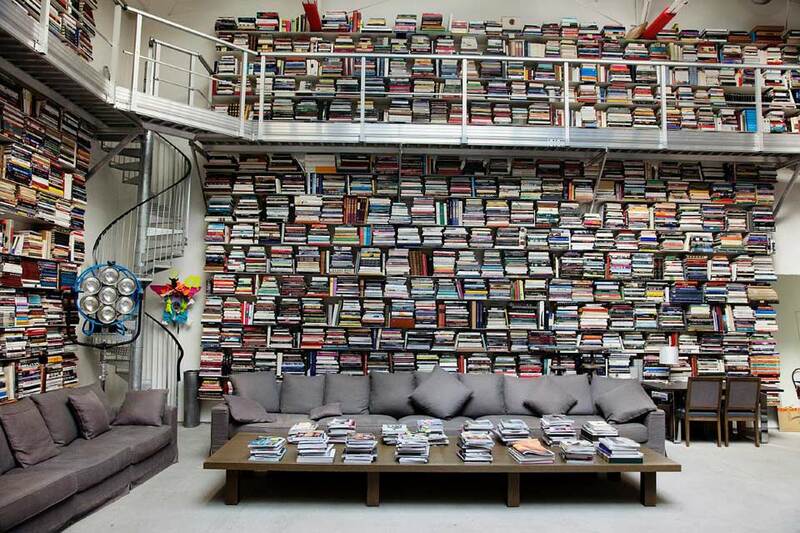 Reminds me of my dream of one day owning a home with gorgeous bookshelves housing my enormous collection of books. From floor to ceiling, I must add. Until that day I will just drool at the gorgeousness that is Karl Lagerfeld's bookshelf in his Parisian studio. These gorgeous images are featured in Todd Selby's first book The Selby Is in Your Place and you can check out Ted Selby's stunning photos on theselby.com. Back to drooling, but I would love to know what you think - of the library but also the style in which the books are stored? Obviously my library isn't this enormous, but a while ago I started stacking some of my books one on top of the other, just like the picture. I have to say mine has more to do with lack of space and that being the most efficient way to maximise space than me being some fashion guru.